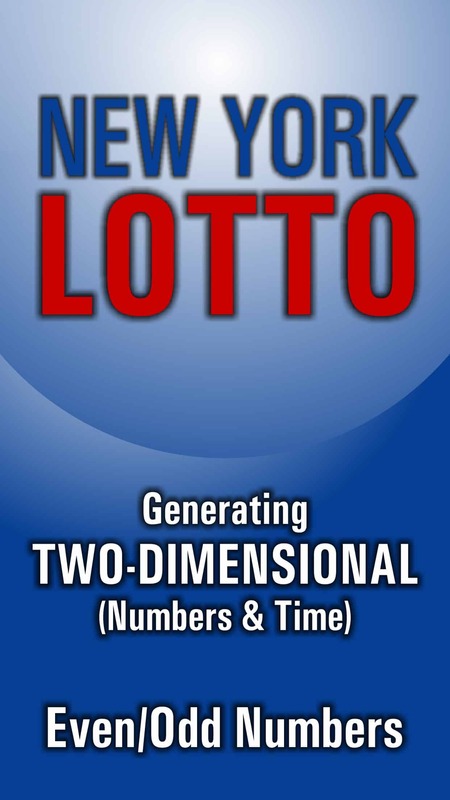 This app helps players to choose numbers with an algorithm, UNIQUE IN THE WORLD for New York Lottery draws. Players may pick 6 different numbers from 1 to 59. 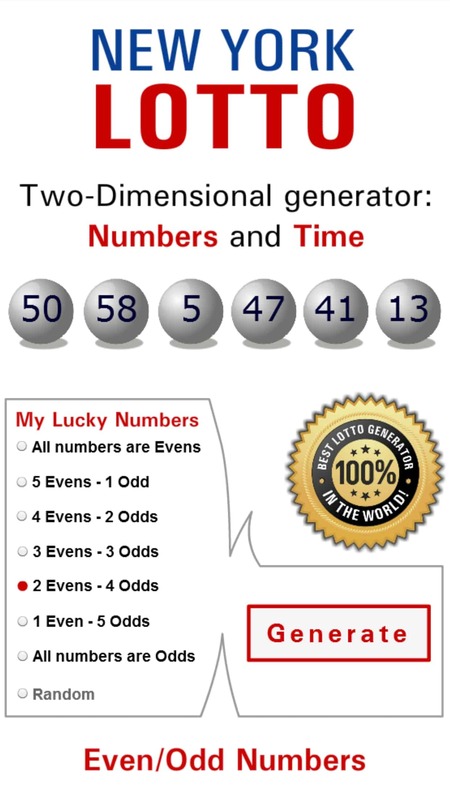 You win the jackpot by matching all six winning numbers in a drawing. Since then, the NY Lottery has gone from strength to strength and built up lottery aid totals of more than $42.5 billion. The only time during this period that the New York lottery has not been in action was following a scandal in the 1970s. The lottery was closed by the state after the agency in charge of announcing winning tickets did so with tickets that state lottery officials knew hadn’t been sold. Apart from that controversy, the history of the New York Lottery has been without any major incidents, other than a large number of huge jackpots. In fact, as any New Yorker will tell you, there are so many huge NY lottery jackpots that they aren’t even big news in the Empire State any more. The impressive total of 110 prizes worth more than $1,000,000 in the fiscal year of 2010-2011 highlights just how many jackpots are available in New York. However, none of these 110 was bigger than the $319 million won by a group of state workers that have been named the ‘Albany 7’. Their huge jackpot was the fifth largest Mega Millions prize in history at the time and came from a New York winning ticket purchase on March 25, 2011. The winning numbers were generated automatically by the NY lottery number picker after Mike Barth, who bought the ticket, lost his place in the queue after stepping out to buy a candy bar. The man who stepped in front of him also bought a Mega Millions ticket taking what would have been his randomly generated numbers and the rest, as they say, is history. While jackpot prizes are all well and good, the aim of the NY lottery has always been to raise money for the state itself. Fortunately, this is another area where the NY Lottery exceeds, with annual aid totals now up to $3 billion and are continuing to increase after being at $1.5 billion ten years ago. Figures like these mean that not only is a NY lottery ticket providing you with a chance to win big, it’s also helping the children of the state itself. Odd numbers are those which end in 1, 3, 5, 7 and 9 while even numbers are those which end in 0, 2, 4, 6 and 8. You are more likely to win if your odd-even number combination is either 2-4, 3-3 or 4-2. More than 65% of the winning combinations in all the New York lottery in the past two years are in these category. This application has no link in no way with any New York Lottery organism and it does not allow to participate in the official game of any New York Lottery. Generate almost equal numbers odd-even, until you see your favorite number. Mathematically, these numbers you have to play about 35 times. It is not easy but it is the best way to win!